The New York Yankees entered the season as the favorites to win the World Series. With the return of MVP candidate Aaron Judge, defensive wizard Didi Gregorius, The Kraken, Gary Sanchez, and ace/Cy Young candidate Luis Severino, along with the additions of NL MVP Giancarlo Stanton and top prospects Gleyber Torres and Miguel Andujar, this team was loaded from top to bottom. However, they didn’t win their division and eventually got knocked out of the playoffs by the team who did, the Red Sox, in 4 games in the ALDS. Why did they not win the division? Why didn’t they go far in the playoffs? There are many reasons, and they are similar to the reasons they didn’t win in 2017. Entering the season, it was obvious the Yankees were desperate for quality starting pitchers. CC Sabathia is old and on the verge of retirement. Tanaka lets up a bunch of home runs and was wildly inconsistent throughout the 2017 season. Jordan Montgomery was coming off an injury, and Sonny Gray was really bad – like, REALLY bad. The only consistent pitcher on the roster was Severino. He was third in Cy Young voting in 2017 and began the 2018 campaign as a dominant force and a front runner for the Cy Young. However, he ended up getting injured and hasn’t been the same since he returned. Statistically, he was the worst starting pitcher in the MLB since his return to the mound and this showed in the playoffs. Also, Jordan Montgomery, who was very good in the beginning of the year, suffered a season ending injury early. Towards the end of July, near the trade deadline, GM Brian Cashman made a deal with the Blue Jays to acquire 35 year old All Star starting pitcher JA Happ in exchange for third baseman Brandon Drury and young outfield prospect Billy Mckinney. Happ was by far the Yankees best pitcher during his time with the team the second half of the season, not losing a single game during the regular season. But his lone start in the playoffs was one to be forgotten, and it was another example of the inconsistency the Yankees possess at starting pitching. If they want to seriously contend and win their 28th World Series, they need to do something about the starting rotation. The Bronx Bombers hit for a record 267 home runs in the regular season. However, this is the second straight season that they haven’t had someone bat over .300. 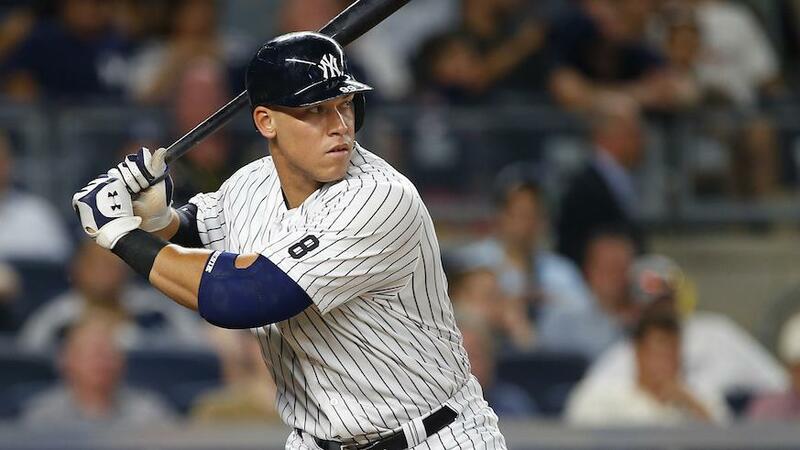 They also had Giancarlo Stanton who lead the team in homers, but he was second in the league in strikeouts at 211 and Aaron Judge was able to get 152 strikeouts in 112 games. This is the difference between the Yankees and the other 100 win teams, the Astros and the Red Sox. They have power hitters that can put up big time home run numbers and score a lot of runs, but they also have solid contact hitters who can get a clutch base hit in a big moment and can bat way over .300. Being lopsided like the Yankees are does not usually result in winning close games. They constantly find themselves relying on the long ball instead of stringing together a couple base hits. A couple good contact hitters could go along way and help this team take the next step. This one will be short. Aaron Boone did not do a good job of managing the playoffs. He has a bad feel for his starting pitchers and left them in too long in multiple games. This problem was also present during the regular season. Boone’s rookie year as a manager was filled with ups but also a lot of downs. Obviously, this team was successful during the regular season so he won’t be fired, but I’m not so sure he should be fired just yet anyway. Many fans already want him gone, but managers aren’t as important as many might think. All they really have to do is make sure the team is doing what they are supposed to do, set the lineup, and manage the bullpen. (Obviously they do other things but these are the most important). Boone should get at least one more year to build off the team’s 100 win season hopefully with offseason additions that help in the areas I’ve previously talked about. Hopefully, he learns from his mistakes and can help take this team to another World Series Championship. Should NFL Games Have Ties?